EPA completes 70 ppb ozone standard area designation process for eight Texas counties. San Antonio (Bexar County) designated non-attainment. 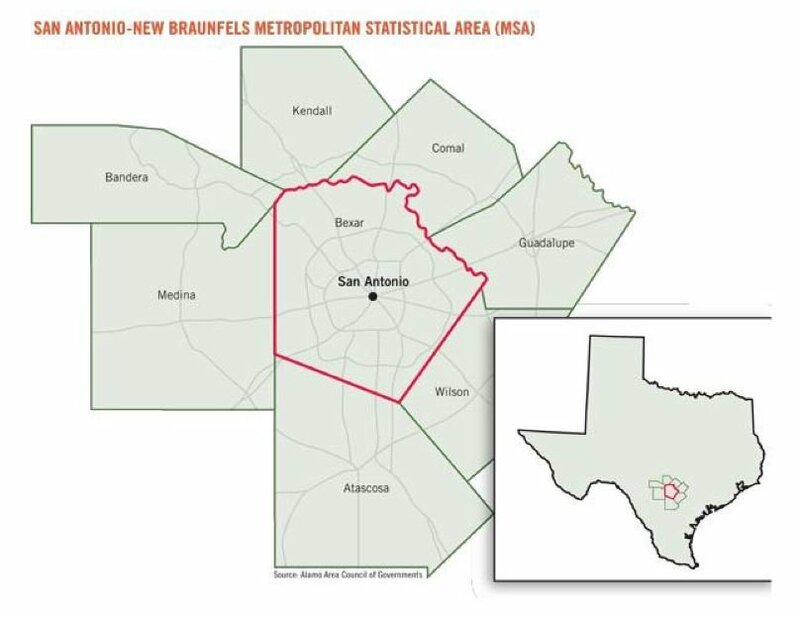 On July 17, 2018, the U.S. Environmental Protection Agency (EPA) announced it has completed area designations for the 2015 70 parts per billion ozone standards by designating eight counties in the San Antonio, Texas metropolitan area. EPA designated seven of the eight counties in the San Antonio area – Atascosa, Bandera, Comal, Guadalupe, Kendall, Medina, and Wilson – as attainment/unclassifiable for the 2015 standard. San Antonio metro county map. Click image to enlarge. Based on data from EPA-approved air quality monitors, EPA has designated San Antonio (Bexar County) air quality as “marginal nonattainment,” which is the lowest level of designation by the EPA according to a July 18, 2018 City of San Antonio report but requires additional review related to transportation and industrial emissions. Now that Bexar County is in nonattainment, the Texas Commission on Environmental Quality (TCEQ) will conduct a comprehensive emissions inventory of all sources within Bexar County, and major sources of emissions will be required to provide TCEQ with emissions statements. EPA has developed and will be announcing a number of tools to minimize disruption for 2015 nonattainment areas and facilitate demonstrations that these areas meet the standard by the attainment dates. Later this year, EPA says it will finalize its implementation and state plan requirements rule for the 2015 ozone standard. 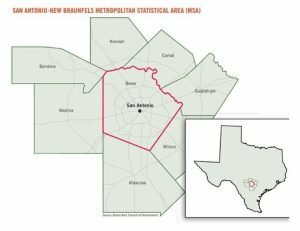 EPA has completed area designations for the 2015 70 ppb ozone standard by designating eight counties in the San Antonio metro area. Bexar County (San Antonio) is in non-attainment. TCEQ must conduct a comprehensive emissions inventory of all sources within Bexar County, and major sources of emissions will be required to provide TCEQ with emissions statements.